I know I've probably mentioned this before in a previous post, but I LOVE to watch clouds. In fact, I love to watch the sky. Period. Things like a sunrise, a sunset, a full moon, the stars. And not only do I appreciate the sky on a bright, sunny day, but also on a cloudy and/or stormy day because the sky looks so beautifully ominous. 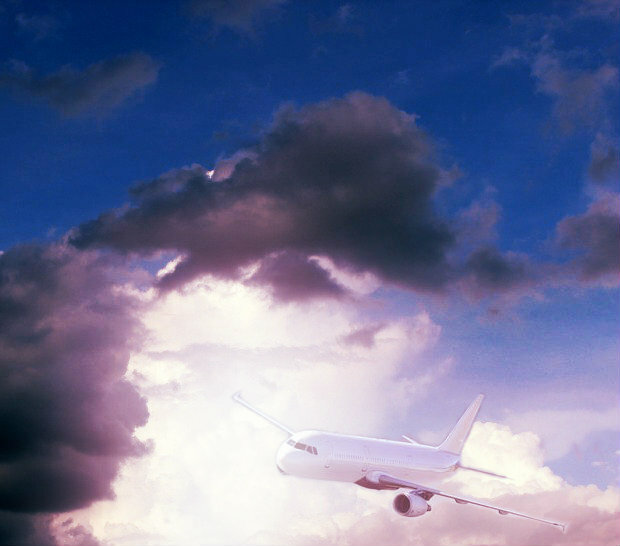 And ironically, even though I'm someone who is initially apprehensive and nervous before I have to board a plane and fly, once the aircraft gets off the ground and we're sailing, I love to look out the window (note: I always get a window seat) and watch the clouds. I think I must have been an astronomer in a previous life because I'm utterly fascinated with what's up in the sky. Over the past few months, I took some photographs of clouds. "The clouds are always improvising." "Happiness is like a cloud, staying up there no matter rain or shine." "Clouds are like the imagination, they appear in any form and any shape, change and adapt, flow and travel." In these last photographs, I decided to try my hand at photo layering by editing these three airplanes into the cloudy skies. I also try for a window seat when I fly because I enjoy the clouds and looking for land formations below as well. It's fascinating to be above the clouds, isn't it? But a little freaky when you fly through a cloud for a while without a break! I like the quote about them always improvising. Have a super week! What an enjoyable post, Ron! 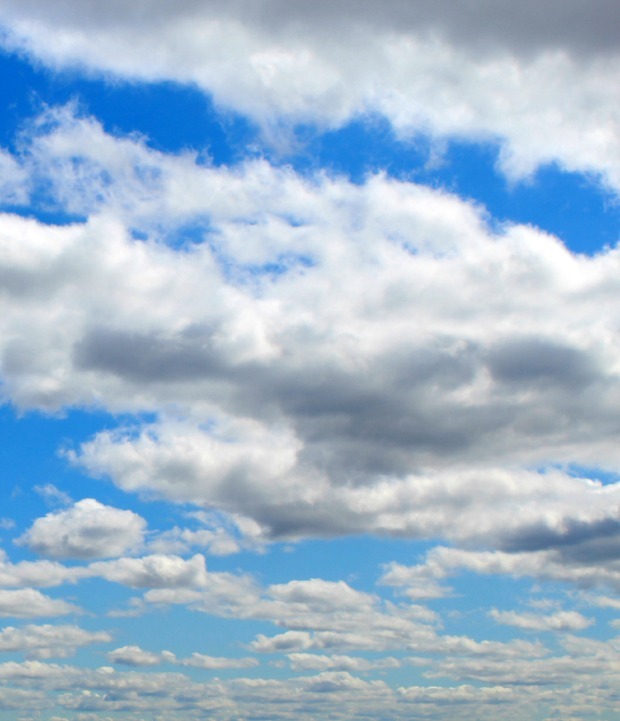 Lovely photographs of the clouds. I also like the sky on a cloudy or stormy day. I must be a weirdo but I really enjoy rainy days. I love what you did with editing the planes into your photographs! I share your love of clouds, Ron. Cloud-watching is so soothing. Sometimes I stand at my front door and do nothing but gaze upwards and wonder at the magnificence of our skies.Your photographs are the tops. Hope you're having a good week. 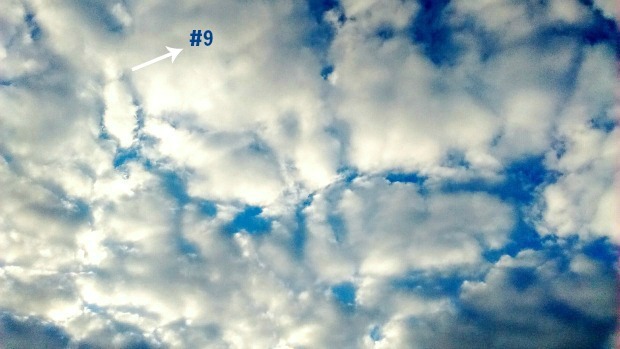 Ron, I love cloud #9 Lol! Awesome photographs, dude! What did you use to photo edit? They're well done. "The clouds are always improvising." Great quote! A wise lesson about how life is the same. "It's fascinating to be above the clouds, isn't it? But a little freaky when you fly through a cloud for a while without a break!" Yes, it is fascinating to be above the clouds. And YES....it is freaking flying through a cloud for a while without a break. It's like your flying through a heavy fog. And I sometimes get nervous that the pilots can see where they're going and worry about hitting another plane - HA! 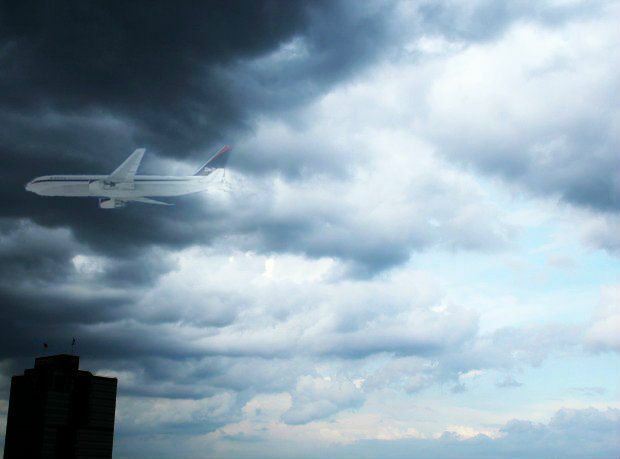 Also, it often get's turbulent when flying through a cloud. Thanks so much for stopping by, my friend. Have a faaaaaabulous week!
" I must be a weirdo but I really enjoy rainy days." I don't think you're a weirdo at all for enjoying rainy days, because I do too. Unless we're both weirdos - HA! Thanks so much for stopping by! Hope you're having a super week! You're absolutely right, Valerie, it is so soothing to cloud watch. I love to lie on the grass and stair up at that sky and watch the clouds roll by, it's so relaxing. "and wonder at the magnificence of our skies." Thanks so much for stopping by, my friend. Have a grrrreat rest of your week! Ha! I couldn't resist doing that for I'm on cloud 9! Thank you. I used the online photo editing software, Pixlr. You can do really cool things with photographs there. I eventually would like to purchase my own photo editing software, like Photoshop.
" A wise lesson about how life can be the same." Yes, you're right....a wish lesson/quote that pertains to life as well! Ron, how cool that we share a passion for sky-watching! I totally "get" that, and I find myself watching the skies often. Your first photo is spectacular -- well, they ALL are, actually, but the first one really grabbed my attention. It almost looked like those clouds were in motion! In fact, I had to stare at it for a while, wondering if you'd done some fancy PhotoShop thing with it!! I love a window seat on airplanes, too. Some of that, I admit, is so I only have an occupant on one side of me, ha, but the rest is so I can look out and appreciate Nature.
" 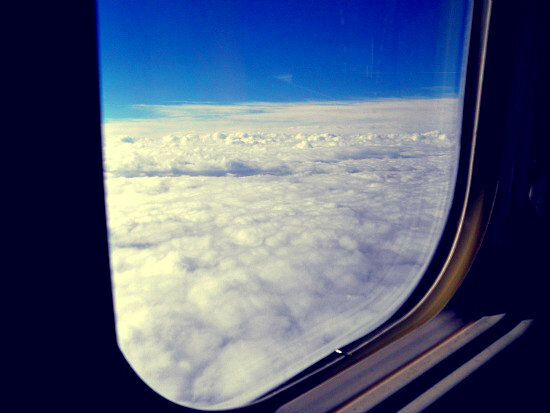 I love to look out the window (note: I always get a window seat) and watch the clouds." I'm the same, Ron! I like a window seat because I feel less claustrophobic. And if a window seat is not available, I have to sit on the aisle. WONDERFUL photographs! And I love the quote too! Well done on the photo editing. Did you edit the last one of the clouds through the window on the plane? "how cool that we share a passion for sky-watching! I totally "get" that, and I find myself watching the skies often." You too, Debbie? That's awesome! There are many of here who are sky watchers. Yahoo! "It almost looked like those clouds were in motion! In fact, I had to stare at it for a while, wondering if you'd done some fancy PhotoShop thing with it!!" You know, I never noticed that before, but you're right...it does look as though the clouds are moving! 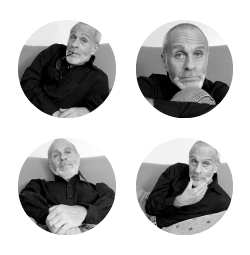 "Some of that, I admit, is so I only have an occupant on one side of me, ha, "
HA! Me as well. I think the worst seat possible (and I've had them before) are the ones BETWEEN two other seats. OMG...I feel as though I'm being suffocated. Thanks so much for stopping by, my friend. Happy rest of you week too! God can you believe it's already Wednesday?!
" I like a window seat because I feel less claustrophobic. And if a window seat is not available, I have to sit on the aisle." OMG...yes, I feel the same. In fact, I just said that to Debbie in a previous comment about feeling suffocated when having a seat in between. I prefer the window, however, if that's not available, I need the aisle. That's one (and only) things I don't like about flying Southwest - it's a first come basis. "Did you edit the last one of the clouds through the window on the plane because it looks so real?" No, that's not edited. That's a real picture. I took that shot back in 2012, when I flew home to see my mother and brother in Florida. I can't believe that picture is FOUR years old?!? Thanks so much for stopping by, girl. Have great rest of your week! "Happiness is like a cloud, staying up there no matter rain or shine." What an inspiring quote, Ron! True, regardless of what's going on in our lives, we can still find happiness. Love these photographs! 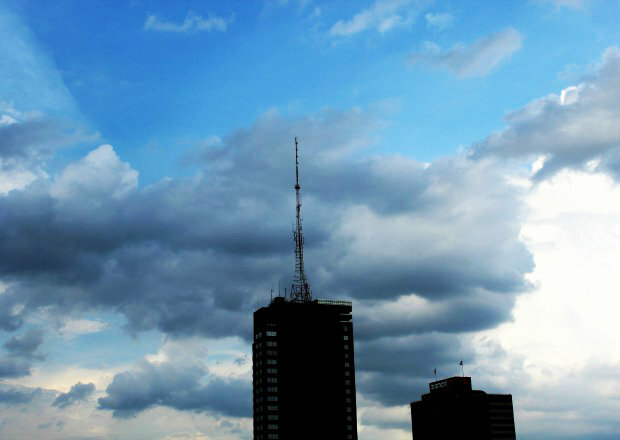 I especially like the one with the darker clouds above the building (#5). Great job on your photo editing! I don't think I ever asked you before, but did you go to school or take classes for photography? You have a great eye! I get nervous before flying too. For many years after 9/11 I avoided get on a plane because I was so frightened. I will fly now, but I still get anxious. Have a great week, Ron. Hasn't the weather been beautiful after all that heat? Beautiful photos, Ron, I felt like I was floating in the sky just looking at them--and I didn't have to take Xanax! You've got such a great eye; I really admire your skill. I give you credit for looking out the window. I never do that. I like to pretend the plane is a big car driving on the highway and I don't all that sky ruining my delusion! Have a great week, buddy, and don't let anything cloud your vision!
" True, regardless of what's going on in our lives, we can still find happiness." You're so right! And that reminds me of last October when I was in the hospital for two weeks and very ill. I know this sounds strange, but through all the scary uncertainly of whether or not I would get better, I found a lot of things to be grateful for, which made feel happy. "I don't think I ever asked you before, but did you go to school or take classes for photography? " No, I've never gone to school or took classes on photography. I've read many books and then practiced different things. But overall, I'm more of a self-taught and hands-on photographer. Thanks so much for stopping by, neighbor! Have a great rest of your week! P.S. The past four days have been wonderful! And what a relief after those weeks of that god-awful heat. "I felt like I was floating in the sky just looking at them--and I didn't have to take Xanax! " HA! OMG...that cracked me the hell up! "I never do that. I like to pretend the plane is a big car driving on the highway and I don't all that sky ruining my delusion!" That's great, I never thought of thinking of it that way. I may have to try that the next time I'm FLIPPING OUT over any turbulence. Thanks so much for stopping by, buddy. Have a grrrrrrrrrreat week! Growing up, I was so fascinated by clouds I had an entire photo album devoted to pictures I'd taken. I always liked cumulonimbus clouds best - there is nothing as dramatic as a towering thundercloud on the prairie. Good job on the layering, Ron! That's one technique I have yet to try my hand at. You've inspired me to give it a go. This will come as no surprise, but ME TOO! I love watching the sky, especially when it's cloudy. Just yesterday as I was driving home I saw a cloud formation that looked like someone sitting on a chair. I pulled over to get a photo but it had already shifted. You got some great shots! "I always liked cumulonimbus clouds best - there is nothing as dramatic as a towering thundercloud on the prairie." OMG...yes, Mark! Me too! And I remember studying about the various cloud names in school! Thank you. That was my first attempt at layering. I hope to one day have a really good photo editing software so that I can do even more. Have a super weekend, buddy. And thanks so much for stopping by! "This will come as no surprise, but ME TOO! I love watching the sky, especially when it's cloudy. " You too? Must be a "Libra thing?" Ha! Florida has some of the most amazing skies, with incredible sunsets. And I used to love when a Florida storm would suddenly hit and the sky would get cloudy, dark and windy. "I pulled over to get a photo but it had already shifted. " Yes, that's the thing about clouds...some of them move so quickly, it's a challenge to snap a photograph. Try your hand at editing?!?! Ron you are a pro! How incredible did those photos turn out! The airplanes looked like they belonged!!! I loved this post and I love your photography, you are so incredibly talented! Aw, thank you, Shae :) I so enjoy photography and trying new things. I am so glad I got this new camera, I'm learning so much. Thanks for stopping by, my friend. Have a spectacular weekend!!!! I'm right there with you! In addition, isn't it always a bonus when mother nature throws in some scattered clouds when you are out taking photos? Speaking of photos, these are fantastic! A lovely series of cloud shots! They are always changing and adapting and becoming something else that is beautiful.
" They are always changing and adapting and becoming something else that is beautiful." Thanks so much for stopping by, my friend. Hope you're enjoying a fabulous weekend! "In addition, isn't it always a bonus when mother nature throws in some scattered clouds when you are out taking photos?" Yes, Pat, that's the BEST! They add so much to an image. Thanks a bunch for stopping by, buddy. Hope you're enjoying a GREAT weekend! I love flying, and you know we do a lot of it! MWM always has the window seat, I'm good to him, but will point out anything interesting he sees. I do particularly love being above the clouds, they look like a bed of cotton wool. Yes, I know how much you LOVE to fly from your fabulous travel trips on your blog. "I do particularly love being above the clouds, they look like a bed of cotton wool." I LOVE how you said that....a bed of cotton wool, because clouds do look like that! Thanks so much for stopping by, m'dear. Hope you're enjoying a wonderful summer! FANtastic photographs, Ron! I thought the same as, Debbie, that in the first photo it looks like the clouds were moving! Your try at photo layering was AWESOME! The planes really looks as though they are part of the photographs. Well done! 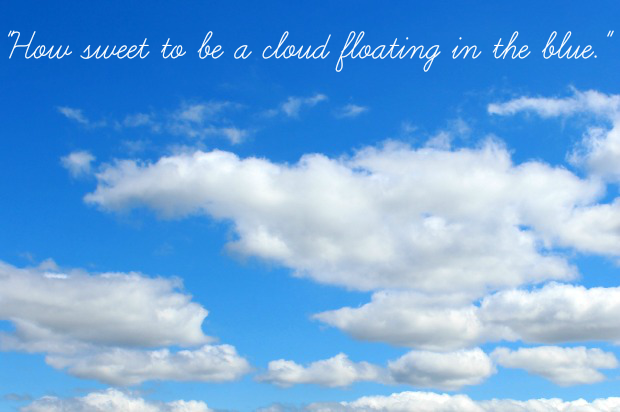 I love the quote too, especially about how clouds are always improvising! I love that quote as well, which is why I used it. Isn't it a great one? Thanks so much for stopping by, buddy. Have a terrific week! I LOVE THESE!!!! My mom and I are ALWAYS looking at the clouds when we are in Corolla on the weekends. They have been amazing this year. I don't know what it is about this summer in particular... something is different, causing them to be huge and fluffy... but with the storms we are getting they sometimes begin white and then huge black clouds form near them - ying and yang, just like the one you have above. Even now I will look up and say, "I see a shark! I see an elephant!" This is why I especially love your pictures. I think the world would be a better place if everyone remembered to look up once in a while!!! Have a fantastic week, my friend! Keep your head in the clouds!
" Even now I will look up and say, "I see a shark! I see an elephant!" Isn't looking up at the sky and watching cloud formations so much fun? And I love how they morph so quickly into different shapes as the wind blows them around!
" I think the world would be a better place if everyone remembered to look up once in a while!!!" Thank you! And I soooooooooo agree! You wouldn't believe how many people (especially those who live in a city) NEVER look up. And not only the sky, but also everything that surrounds them, like the beautiful architecture in both Philadelphia and New York. People seem to take it all for granted. Thanks so much for stopping by, my friend. Have a grrrrrrrreat week! Thank you for highlighting Cloud Nine for me. I've always hoped to visit it someday. I never got any closer than Cloud Six, though.
" I've always hoped to visit it someday. I never got any closer than Cloud Six, though." Thanks so much for stopping by. Nice to meet you! And the moon… OMG, looking in my rearview window on the way home earlier it was big and beautiful. Not a good flyer at all, but I definitely prefer a window seat. I have a nice picture of the plane wing and clouds on our way to Cancun many years ago. "And the moon… OMG, looking in my rearview window on the way home earlier it was big and beautiful." OMG, meeeee too! That's why I especially love nighttime - for the moon! I was born in year when in my birth month (October) there were TWO full moons! Which is why I think I'm affected by a full moon!